We are planning a 2014 End-of-Year WowART Exhibition! 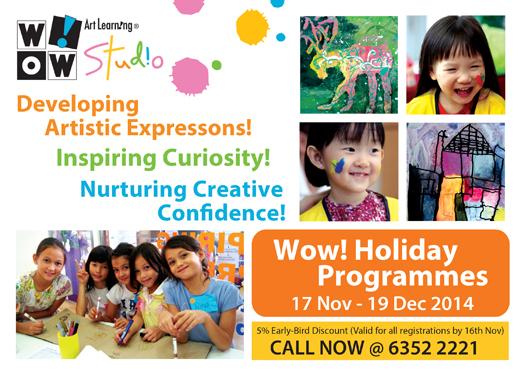 Budding artists are looking forward to these November/December holiday programs. Kiddos will find brand new Christmas art and canvas workshops plus a series of 'Animation-themed' art workshops at Wow Studio this season. Build your own snowglobe, decorate a mosaic holiday vase, make napkin batik prints, and plenty more projects to celebrate the holidays.